In short, our use of animals “as a food-production technology” had “brought us to the verge of catastrophe” and there was no way to achieve climate-change objectives “without a massive decrease in the scale of animal agriculture.” Which is a problem. Vegetarians and vegans aside, human beings love their meat and demand is only going to rise as Earth’s population swells. Help is at hand, however, in the shape of a revolutionary and rapidly evolving food science that could soon prove to be the most disruptive technology that human beings have yet devised. Archaeological evidence tells us that we have been using animals to transform plant biomass into meat products suitable for human consumption since prehistoric times – today’s cattle are descended from extinct breeds of wild aurochs, large beasts first domesticated in Mesopotamia over 10,000 years ago. When human beings numbered mere millions rather than billions, raising livestock was a hugely efficient way of making food. Today, with seven billion of us and counting, and vast distances between producers and consumers, it is not. The environmental and economic impact of meat production is felt right along the supply chain, and nowhere more so than in regions such as the Middle East, where conditions make it impossible to raise cattle. The Middle East imports 90 percent of the meat it consumes, at a cost to the top 10 importers in 2017 of close to $8 billion. Saudi Arabia ($1.9 billion) and the UAE ($1.7 billion) have the largest shopping bills. Most of this meat travels halfway around the world in refrigerated containers on ships from big exporters such as the US, Brazil and Australia, generating copious greenhouse gases en route. From the pampas to the plate, the environmental cost is mind-boggling. 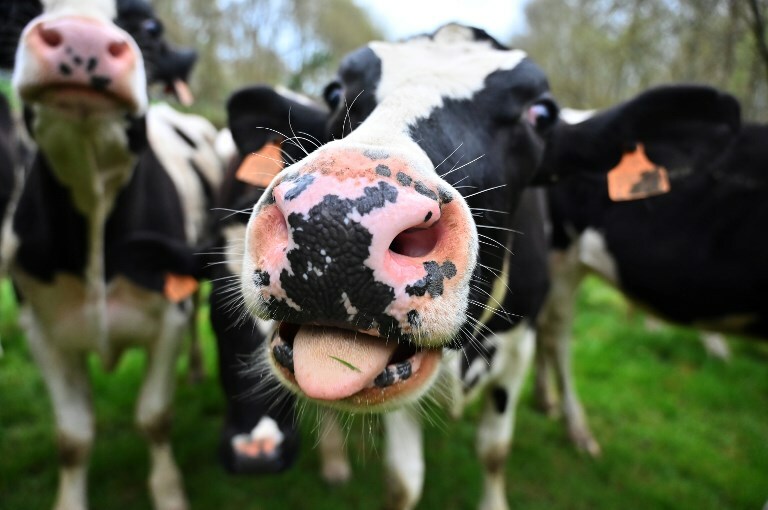 A study last year in the journal Carbon Balance and Management found that emission by cows of methane, a more potent greenhouse gas than carbon dioxide, was 11 percent higher than estimated by the UN’s Intergovernmental Panel for Climate Change. Researchers at Oxford University, meanwhile, found that every 100 grams of beef protein came at a cost of up to 105 kg of carbon dioxide equivalents and the loss of 370 square meters of land, stripped of trees that generate oxygen and absorb carbon dioxide. Raising cattle and other animals for meat is, in other words, a hugely costly and vastly inefficient method of converting plant biomass into protein. Small wonder, then, that around the world scientists are racing to bring lab-grown meat to market. The world’s first artificial burger was unveiled in 2013. It needed some adjustment on the taste front, but the biggest barrier to such “clean meat” finding its way onto the menu at McDonald’s was the difficulty of scaling up production – the prototype, created by Maastricht University offshoot Mosa Meat, came in at $250,000 per burger (without fries). In the US, the San Francisco food company Just is leading the herd. Said to be close to marketing slaughter-free chicken, it is now urging US food authorities to develop regulations in preparation for what it predicts is the imminent explosion in similar products. Until now, artificial meat has tended to be unappetizingly mushy and best suited to sausages and burgers. But in December, the Israeli start-up Aleph Farms unveiled the world’s first prototype “steak,” with realistic muscle texture, and hopes to produce a marketable product within four years. The latest breakthrough was announced on March 20, when tissue engineers at Bath University in the UK revealed that, in a neat twist on the standard cattle-rearing model, they had successfully grown muscle cells taken from live animals, on blades of grass. The cells, fed a diet of glucose, amino acids, vitamins and minerals, are grown in a specially designed incubator called a bioreactor. This is an expensive and energy-intensive process – but perhaps not for long. The scientists predict that affordable lab-grown meat could be in supermarkets within five years. Crucially, “it can be produced anywhere in the world – where it is really hot and where it is really cold.” The arid Gulf states, currently importing most of their meat, could literally grow their own, saving billions of dollars every year and reducing their carbon footprint into the bargain. Perhaps the best thing about cultured meat is that almost everyone is a potential winner, including the planet, the one in nine people who, according to the World Food Program, currently go hungry every day, and the animals that won’t have to die to feed them. Cowboys and ranchers, on the other hand, may well be a dying breed. Jonathan Gornall is a British journalist, formerly with The Times, who has lived and worked in the Middle East and is now based in the UK.